Palestinian Authority President Abbas was positive about a peace with Israel in a meeting with U.S. envoy Greenblatt. This happening exactly 70 360-day years after Israel became a nation. The Jerusalem Post has picked up this story as has The Times of Israel. Hundreds of prophecy blogs and YouTube accounts are blowing up about it. Getting very interesting this time. Be ready. Help others be ready. If you're not ready - there's precious little time to fool around. 119 to 133 days out to 9/10 or 9/23. Wow this is huge and right on time. Do you think there is any prophetic significance about Lauder and Lauder’s involvement in this? "One of the people responsible for this change is Ronald Lauder, the American billionaire and current head of the World Jewish Congress, who is one of the closest people to President Trump. Lauder has known Trump for over 50 years and calls him a “great and true friend” of Israel. Before Abbas met Trump last week, he stopped by Lauder’s house for dinner and got briefed on tactics to win over the president. 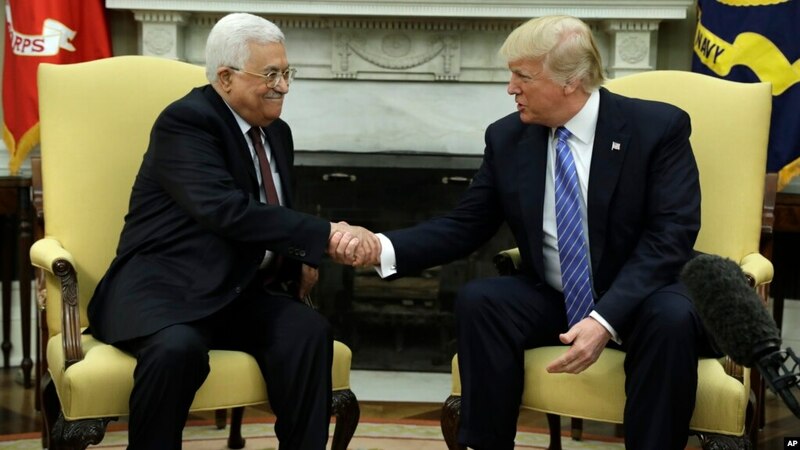 He has spent countless hours with both Abbas and Trump advising them on ways to renew the peace process. In some ways, it seems that Lauder has bypassed Sheldon Adelson as the most influential Jew in Trump’s circle. This is not Lauder’s first foray into the Israeli-Palestinian conflict. About two months ago, Lauder was in Cairo and met with President Abdel Fattah al-Sisi ahead of the Egyptian leader’s visit to the White House. He has also held talks with King Abdullah in addition to other Sunni leaders from the Gulf. Lauder, sources say, seems to have been tapped by the president as something of a semi-official envoy to the region with an emphasis on the Israeli-Palestinian conflict." The question is are the two signs ("Red Dragon" being the 2nd) supposed to occur simultaneously, or is there a gap in-between of unknown time?